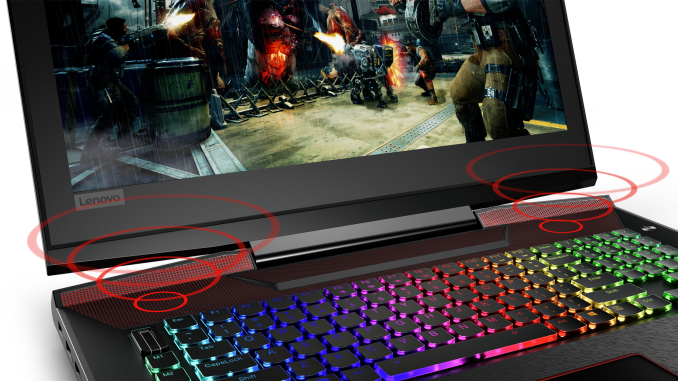 Lenovo has expanded its lineup of Legion-branded gaming laptops with a model that features a 17” display, powerful audio, a mechanical keyboard, and an overclocking-capable Intel Core i7 microprocessor. 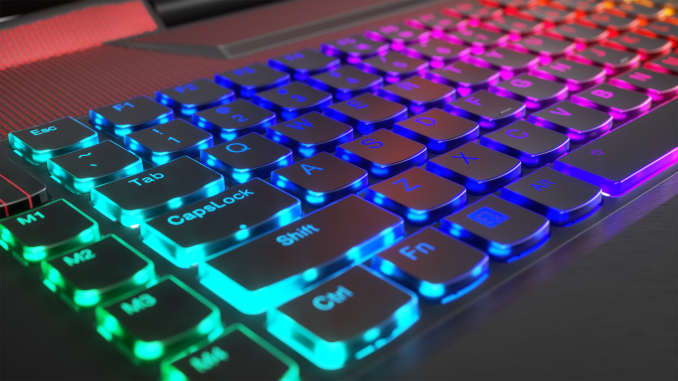 The company positions its new gaming notebook for those who need maximum performance in a portable form-factor and will want to perform additional performance tuning. For the better part of its history, Lenovo has focused primarily on mainstream and business PCs in a bid to drive volume and become one of the largest suppliers of computers in the world. However, as sales of PCs stagnated or dropped in the recent years, Lenovo has had to find a new source for its growth. One angle to this is when the company started to build gamers-friendly machines. At first they were released under the Y-series, such as the Y-700, but earlier this year Lenovo introduced its gaming PC brand: the Legion. So far, the Legion lineup has included only two 15.6” laptop models — the Legion Y520 and the Legion Y720. This month, the company is rolling out a considerably more powerful addition to the series, the Legion Y920 with a larger screen and better hardware, targeting the higher-end segment of the gaming laptop market. The Legion Y920 may not be addressing the ultra-premium part of the market, but the machine demonstrates a clear trend where Lenovo is going with its gaming notebooks. 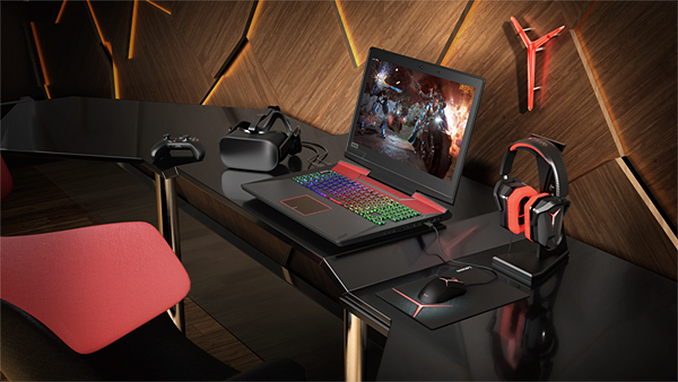 The Lenovo Legion Y920 is equipped with a 17” FHD display with NVIDIA’s G-Sync and is powered by Intel’s Core i7-7820HK or Core i7-7700HQ processor (depending on exact SKU). The former processor features unlocked multiplier and thus can be overclocked rather easily as long as it has sufficient cooling. The laptop comes with 16 GB of DDR4 RAM, it uses NVIDIA’s GeForce GTX 1070 graphics adapter with 8 GB of GDDR5 memory as well as a 512 GB PCIe SSD and/or a 1 TB 2.5” HDD. As for connectivity, the Legion Y920 is equipped with one Thunderbolt 3 port, Rivet Networks’ Killer 2×2 802.11ac Wi-Fi and GbE, four USB 3.0 Type-A headers, a card reader, an HDMI header as well as a DisplayPort. Meanwhile, two features of the Y920 that Lenovo is especially proud of are the audio sub-system featuring two JBL speakers and a subwoofer that carries the Dolby Home Theatre badge as well as an RGB LED-backlit mechanical keyboard. With its 17” display, the Legion Y920 does not belong to what is now called ultra-portable gaming laptops category: it weighs 4.6 kilograms and its thickness is 36 mm, which is a result of using ABS plastic as the primary material for the chassis. Large dimensions enabled Lenovo to install a 90 Wh battery and could also let the manufacturer equip the laptop with a more advanced cooling system to boost overclocking potential of the Core i7-7820HK CPU. Unfortunately, Lenovo does not disclose any details about the cooling of the Legion Y920, but large dimensions, in general, mean more air. Lenovo’s Legion Y920 will hit the market in EMEA this month and will start from €2,599.99 (including VAT). The machine will be available in the U.S. in June for the price of $2,699.99 for the base configuration. No he's not being sarcastic. This guy is so full of it on ever article he comments on. He either has his tin foil hat on and accuses companies of all kinds of outrageous nonsense, or he takes that hat off, like now, and backs up a company that has been proven to install backdoors in the firmware of their products. The real issue here, is can Lenovo make a $2700 laptop that actually feels like a $2700 laptop. I don't think so. I haven't felt a "premium" product from Lenovo for years, and we used to deal with all of them in IT before Northwestern Hospital began transitioning away from Lenovo in 2013 toward HP. Btw dude, the difference between Facebook and Lenovo is that I didn't buy a Facebook laptop while not knowing that a dangerous exploit was installed at the firmware level. As I commented below, you are a tiring troll. "If people had just kept their mouths shut." Yeah because we should just shut up and buy products from a company with our hard earned money and not care what they are doing to that product without our knowledge. You are part of the problem that allows companies to continue pulling stunts like that and exploiting their customers. "It's really the fault of consumers that we've gotten to this point. The company was really working hard to make things better and their customers (and a lot of people that weren't even buying their products) got greedy and grubbed around making waves about nothing they should have concerned themselves with"